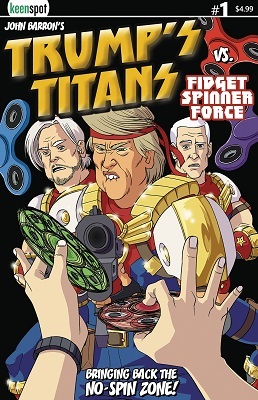 President Donald J. Trump is now the most powerful super-hero in the universe and the leader of the greatest super-team in history, but will his presidency be brought down by a mere toy? Made in China and surely funded by CNN and George Soros, Fidget Spinners are brainwashing America's youth with their constant hypnotic spinning, turning them against all that is good and Trump. But when the crazy hits home and Trump is forced to fight back, he must face his greatest fear. 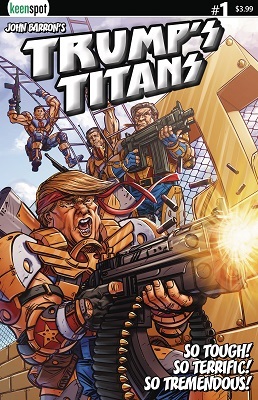 Trump's Titans returns in an all-new #1, because #2s are for losers!